JJ Project, a subunit duo of South Korean musicians JB and JinYoung of GOT7, released their music video teaser “Tommorrow, Today” and some parts of its melody on Friday. JYP Entertainment unveiled the song via YouTube, Naver TV and Kakao TV as part of JJ Project’s new album “Verse 2,” attracting the attention of K-pop fans. In the grayscale short clip, a white car runs through a forest for about 20 seconds. 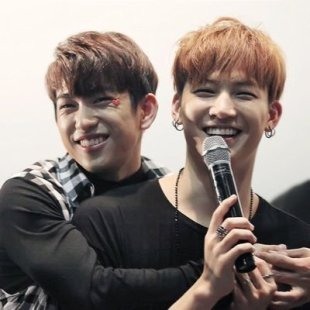 The new song is expected to draw excitement among the fans, as they have waited for five years for the JJ Project’s comeback. JJ Project has been famous for its rebellious hip-hop dance song “Bounce” shot in a classroom. JJ Project will officially release the new mini album “Verse 2” on Monday.